During and after his studies as a medical doctor he found the traditional medical approach incomplete for human health and went on the search for further approaches in the psychological and spiritual field. He attended psychotherapeutic trainings like Gestalt, Eriksonian Hypnosis, NLP, Integrative Body Psychotherapy (IBP) and visited pioneer communities, which aimed to integrate sexuality, relationship, health and a sustainable life style. He specialized as an MD in Psychiatry and Psychotherapy, opened his practice at Berne while he became a faculty member in the IBP body psychotherapy training institute. He was head of the ethical committee, now he is supervisor, trainer, therapist for psychotherapists in education. Robert and his wife Notburga run the MannFrau Institute and offer trainings for men, women and couples to learn about Sexuality, Relationship and Gender by connecting to deeper resources in oneself. Robert has been engaged in men's work for decades to support men in the huge changes concerning the gender roles. This development offers men chances to do steps forward with strength and dignity. 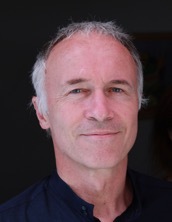 His training in Sexual Grounding Therapy® (SGT) with Willem Poppeliers gave him essential insights concerning his search for a future oriented approach in sexuality and therapy, integrating medical viewpoints, body, psyche and healthy relationships. SGT's engagement for the wellbeing of all children and the respect for the parents suites to Robert's approach in his private and professional life. He is a SGT therapist and senior trainer.